Online access to my thesis has been moved. 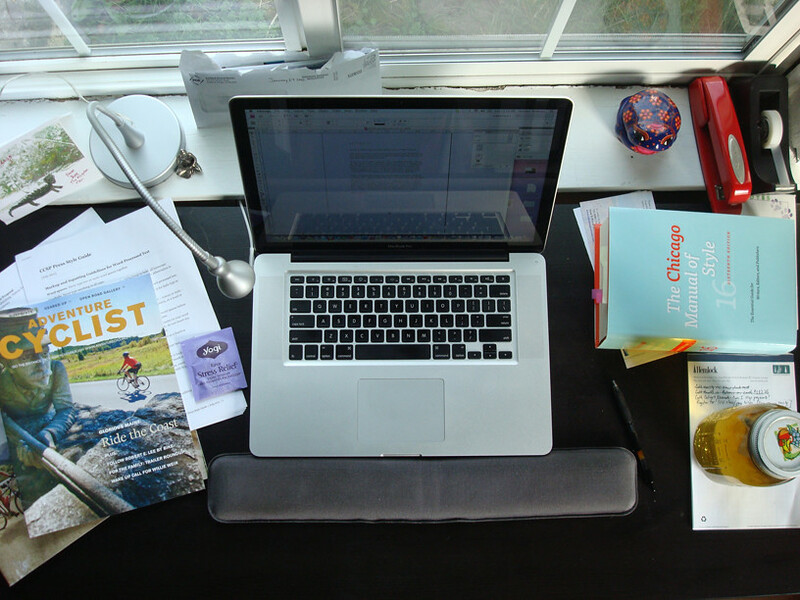 Publishing to Inspire: The Role of Publications at Adventure Cycling Association is now held in the SFU institutional repository, called Summit. Next week I’ll be using the work for a presentation I’ll be giving at a professional conference in Baltimore, Maryland. I was looking for the URL to share with any interested colleagues when I discovered its long-term home on the web. Summit tracks monthly views of each record in its database, and downloads of each thesis. It looks like in just the first few days of April there have been ten views of my project report page, and six views of the full thesis—only one of which was me. Most of the views came from the US (unsurprising) and one from France. I wish they had longer-term web statistics! It would be nice if I could view past information as well. One of my ongoing goals is to promote this work so it’s not just sitting on a dusty shelf, electronic or otherwise, in Canada. Are you one of the thesis browsers? I’d love to hear from you! I hope my readers—hi, spambots!—are having an excellent holiday season filled with opportunities to enjoy an engaging book next to a fire or under a blanket. Things have been crazy at Bookish HQ the last two months, resulting in few new blog posts. This trend may continue—Bookish may soon be embarking on a capital campaign and/or finding a new HQ. 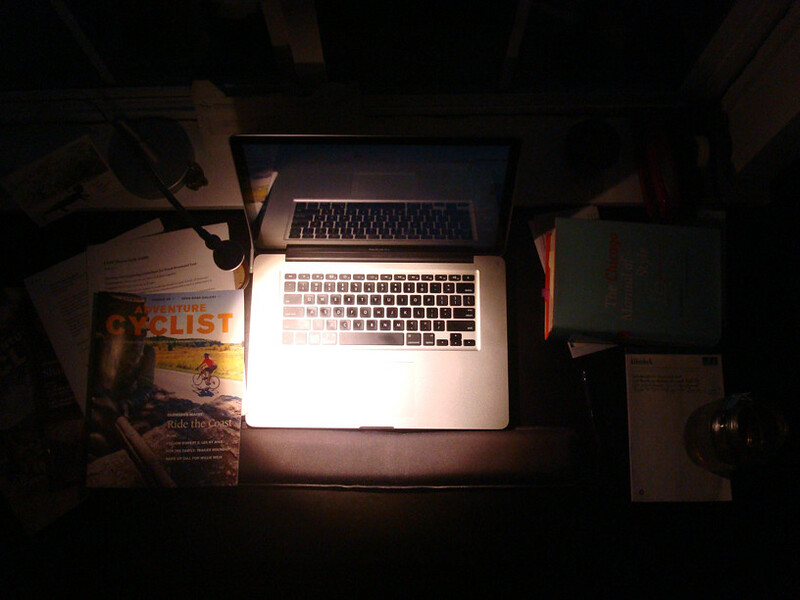 These things do not come easy, but the blogging will continue whenever possible. I’ve been doing some reflecting on literary themes as well, and hope to serve up a year-in-review next week. Watch for it! There is a bit of a story behind the photo. Earlier this week the Chicago Manual of Style released a guide to making a CMOS mini-book ornament. When I decided to take a few minutes on Friday morning to make one, I discovered a contest they were running. A half hour later, I had a garland of mini-CMOSes and a photo that they shared online. On Monday, April 23rd, I trudged around Vancouver BC obtaining approval signatures, then submitted my project report to the SFU Theses Office. The next morning I picked up some of my favorite cinnamon rolls, closed my Canadian bank account, and went home. Publishing to Inspire: The Role of Publications at Adventure Cycling Association explores how non-profits can use their publications to actively forward their mission. As a follow-up to my FAQ blog post about the SFU MPub program, I’m going to talk a little bit about the process of doing the project report in this post. It happens that on this topic I’ve actually been getting more questions from my fellow students than prospective students. Of the 20 people in our cohort, I believe a total of only seven of us have submitted our project reports one semester later than the program’s timeline. In other words, even after an extra semester, only 1/3 of my fellow students are done with the program. Like many MPub classmates, I had basically taken the fall off to tend to other matters. I spent about three months working in my house so I could move back in. On the last day of December, some sobering circumstances led me to vow that I would complete my project report in the spring semester, which would mean handing in the final version by April 27th. As accountability helps me achieve goals, I sent a massive email asking friends to check in with me periodically, and I even wrote a blog post about my 750 word daily goal to get the rough draft hammered out. Writing the rough draft in January was probably the toughest part of the process. It took a couple of hours agonizing that first day before I just decided to freewrite it: write all the ideas that had been percolating in my head, just to get them on paper. After that I started expanding as I could on this or that idea, adding words, and I was able to start structuring the thing to match the outline and proposal I had previously submitted. It was tough going, but the first draft got plopped into InDesign and sent out a couple days before January 31st. InDesign was a bit of a pain until the very end—for every version I submitted, I needed to reflow all the text in the document, and I was having footnote numbering issues. In early April it took a friend and I several hours to unlock all the mysteries, even after receiving advice from one of my MPub professors. Fortunately my senior advisor never sat on anything too long. Of course, I deliberately chose him because I knew we would have a great working relationship compared to my other option. And we did! Starting in January I clearly stated to him my intention of finishing in one semester, and I’d like to think that teamwork made it happen. Toward the end, he even gave me a little insider advice to get the quickest turnaround from one of my other committee members. One thing that was never spelled out to me was this: while everybody knows you are allowed three submittals to produce your final product, only your senior supervisor will see it at first. Mine told me when I was “clear” to send it to the other two. This was slightly nerve-racking considering we were nearly in April at that point, and either of them might have had a lot to say about what I wrote. Obtaining the requisite signatures in Vancouver was the best part of my trip. My senior advisor and other SFU advisor gathered in our program coordinator’s office and the mood was giddy. It was great to see them having such fun! Of course the tall Oregon microbrews and thank you cards I brought them probably didn’t hurt. Then it was off to Burnaby to wait in line at the Theses Office. Dealing with the thesis office was more problematic. They have a series of guidelines available on their website which, like everything else on SFU’s website, were fairly difficult to understand. I started referring to one of the guideline lists as the “three easy steps” document—these “three easy steps” took about four solid pages of text, printed out, with a fair amount of that text in red, to provide an overview of the thesis submission process. Their help site has multiple types of instructions to cover different type of theses and dissertations, from the breadth of SFU departments. Our program gave us an InDesign template to use for our project report, but as I carefully combed through the Theses Office guidelines, suddenly I was questioning whether the typeface I had chosen was acceptable, among other things. The reason I was being so careful? Of course, I didn’t want to drive from Portland to Vancouver only to be turned away for a minor detail I had gotten wrong. So the woman who runs the Theses Office got familiar enough with me that when I was finally sitting face-to-face with her, I only had to introduce myself as “the one from Portland.” After having sat in line for an hour and a half to see her (no, I’m not kidding), our conversation was slightly terse as she pointed out the two(!) errors on my cover page. There are only a few things they check during the intake process, and they are very exact about the cover page. Planning to add a comma to “Faculty of Art, Communication and Technology” so the Oxford comma will be consistent with the rest of your project report, using the guidelines your department has set? Whoop-whoop! 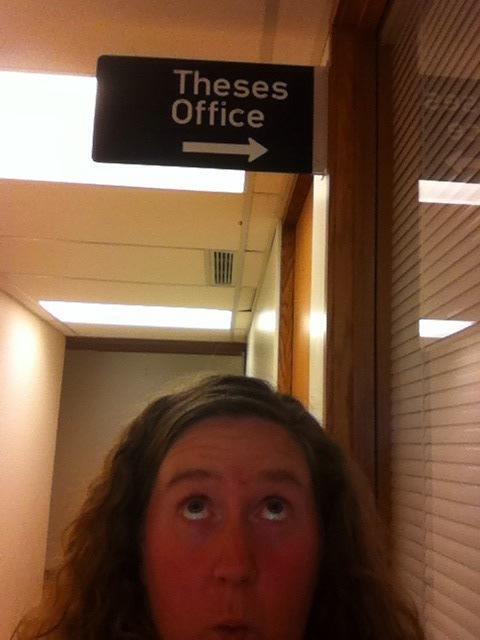 Call the thesis police! It may have been the eyeballs popping out of my head and the flurry of detailed questions that followed, but we compromised—if I would fix my cover page and send it back electronically, she could reprint it in their office on archival-quality paper. This turned out to be ideal for me—if she had required me to reprint it myself I would have needed to buy a copy card to print out two sheets of paper. At a library that I would likely never find myself in again. Originally I was planning to attend graduation, but last week those plans changed. When I was in Vancouver delivering my thesis, I asked various SFU staff if there were any other costs associated with being in the commencement ceremony. Nobody had reason to believe so, and I couldn’t find any mention on the commencement website, so I closed my Canadian bank account before leaving. Only after I confirmed my attendance online this week was any mention made, and I still had to proactively call the graduate studies office to find out that yes, for the past two years there has been a $35 charge for students to rent the regalia. Factoring in many other considerations and finally fed up with SFU’s poor communication to students, I requested to cancel my confirmation. On June 15th, my mom and I plan to attend a private graduation ceremony at a local restaurant and spend—you guessed it—$35. Do you have any other questions about the project report process? Ask away! In addition to writing every morning on 750words.com, this month I’m also tackling a different kind of 750 words each day. In order to get my MPub project report out of the way, I’ve broken the word count into a goal of writing 750 words per day, which should allow me to get an official first draft submitted by the end of January! If you’re interested in charting my progress this month, I’ve created a Google Calendar called “HA’s Project Report Word Count.” I’ve also asked many friends to keep me accountable by checking in with me over the next few weeks about how it’s going. With your support I can get this thing done! Just over a year ago, I moved to Vancouver, British Columbia, for the MPub program. Much hair-pulling and stress happened over the few days leading up to the move, but all my immigration documents were assembled, the moving truck was packed, and I was on my way. As part of the usual process at the border, the Canadian border agent asked me if I had anything to declare: tobacco, firearms, plants. It just so happened that I had a plant with me. The only plant of fifteen, in fact, that I hadn’t given away before leaving town. An Oxalis triangularis, or purple shamrock plant. My favorite plant. A special plant. The leaves folded under at night. It had been propagated in 1997 from a plant that was purchased at the New York Botanical Garden’s annual plant sale. Until a few years before this I had never seen another Oxalis triangularis, and I still don’t see them often. Assuming they were concerned with people bringing pot plants into the country or something, I declared my plant to the agent. Honesty is the best policy, right? Big mistake! After waiting inside the border agency building for my visa to be issued, an agent came outside to inspect the plant. I told her that this was the only plant I had kept of fifteen. That it was special. The agent said the problem was the foreign soil, and the possibility of bad microbes or fungi being brought into the country. I proposed a solution: Oxalis plants have rhizomes—if I removed one of the rhizomes and washed the dirt off, could I still take it with me? After explaining a second time, I had failed to convince her. Nor do I think she wished to deal with me anymore. She claimed there was no choice because I had already declared the plant (implying I should have lied). She asked me to throw the whole thing into the designated trash can. Even the pot. The pot! The beautiful cobalt pot that the plant had been in for over ten years. It seemed there was no option though, so into the rubbish bin it went. That hurt a lot, to be forced to throw away something that meant so much to me. But really, there was a lot of sacrifice involved in my getting to Canada. Both intentional and not. For the first time in over a decade, I didn’t have any plants that needed minding. My apartment was missing something—yet, buying a new plant wasn’t an option, as it wouldn’t be able to come home with me either. At the end of a rough school year, I moved back to the US. I’d be in Missoula, Montana, for the summer, performing my required MPub internship at Adventure Cycling Association. When my supervisor was taking me on a tour of the building the first day, I saw it. 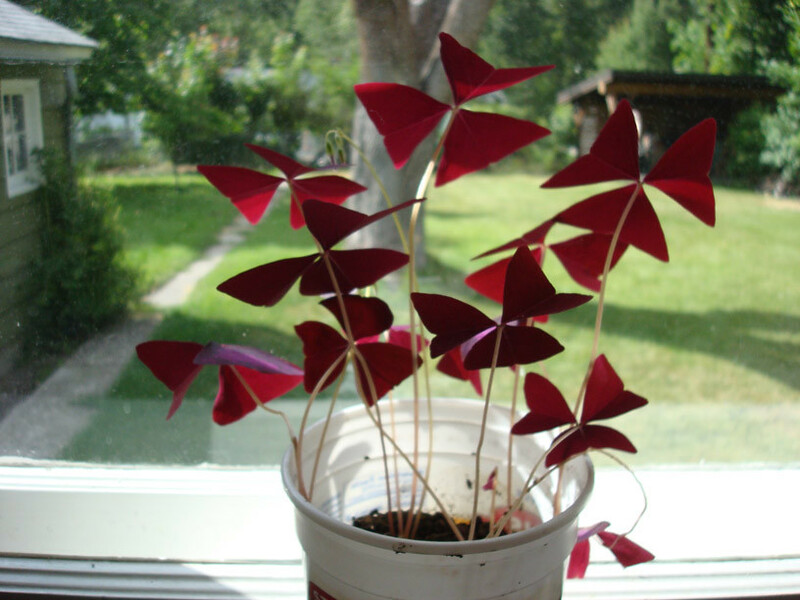 I saw them: two different employees had an Oxalis triangularis on their desk! I made note to ask them about taking a rhizome or two. Some weeks later one of the coworkers gave me a few rhizomes, which I soon grew into a new plant (above). Near the end of my internship, the other coworker gave me her entire plant, pot and all! 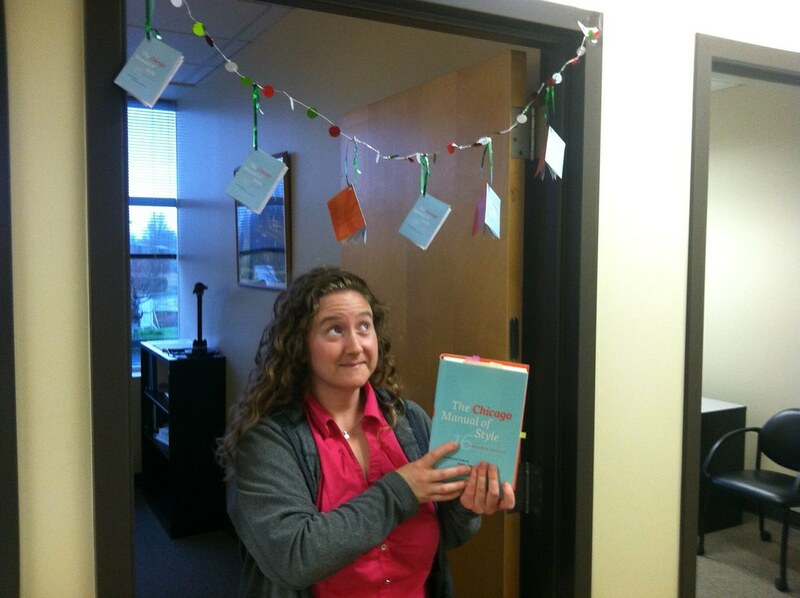 Here I am, having gone from no Oxalis to two, thanks to the incredible kindness of my awesome Missoulian coworkers. I didn’t think the Oxalis could be any more special to me, and now I’ve got a great story that starts with tragedy and ends with generosity and kindness. After a year away from my lifelong home of Portland, Oregon, I am preparing to go back. Things have certainly changed during this period, and I’ve spent a lot of the summer thinking about what I’d like to see in the next chapter—and more important, how I am going to write it. As with the Oxalis plant, I hope for a delightful conclusion to the story. Over the past few weeks, I’ve been contacted by a few prospective students of the Simon Fraser University MPub program, asking me questions about the program and my experience in it. Last night I was typing another novel-length email and an idea struck: what if I consolidated this information, and built upon it so I wouldn’t be writing the same thing to five different people? Students could read what I (and hopefully my classmates) have to say, then contribute their own questions for me/us to answer. If there is a subject you’d like to know more about, I hope you will use the comment function to ask more, which I (and hopefully others) will respond to, so future students can benefit from our collective knowledge being gathered in one place. I also hope that my fellow MPub students will feel free to chime in and relate their own experiences as well. MPub professors may not want to read further, as you may stumble across the awful truth as your students see it. Q: Tell me about your MPub experience. MPub is very specifically about the Canadian publishing industry. As a US student who came in not expecting to stay in Canada, this was an aspect I disliked, although I still learned a lot and gained a far more international perspective. I had the choice to attend another publishing program in the United States, but it was at a school that isn’t known for its academic rigor, and there were personal development reasons for me to leave my hometown rather than stay in its safety net. I’ve also heard from a publishing professional since I came back that the other program is seen as more highly literary (and technically, their degree is an MA in English), whereas our program is much more business-oriented. That’s definitely something I prefer. The program is intense. Your time management skills will be developed far beyond what you ever dreamed possible. There will be an amount of work that is impossible to do in the time you have to do it, and yet somehow, you will get it done. And you will learn that just getting it done is often good enough, because you just don’t have enough time to let your inner perfectionist dictate your work. The first semester is intense because everybody is freaked out and adjusting to being in the program, and also because the book project is very demanding (more on that below). The second semester is intense because you are constantly preparing seminar presentations, working on obtaining your internship, writing papers, trying to do impossible amounts of reading, etc. The silver lining: because the program is so intense, you’ll also make some lifelong friends! On a personal level, I was seriously entertaining quitting the program the first couple of weeks. Some painful stuff happened right before I left home, I wasn’t really prepared to move to a different country, and I took very much to heart the tough talk the head of the department offered at our orientation. There wasn’t a single day the first semester that I wasn’t sobbing at some point, mostly in the comfort of my apartment, but sometimes secretly wiping away tears in the middle of class. Don’t let that scare you though—most of it wasn’t caused by school, and being in such a dark place kick-started close friendships with some of my classmates. The point is, if I did it through all of that, I know that you can do it too. Q: Any advice for international students? Going in, I kind of scoffed at the idea of being an “international student” because my lifelong home was just a few hours away. However, it turns out that Canada is like a whole other country! The invisible line is very, very real. At the beginning, professors and students alike were making Canadian references that made me dizzy, zinging past my head too fast to figure out or write down to ask questions about later. It wasn’t until February when I bussed past Duthie Avenue in Burnaby that I realized the lamented closed bookstore that had been discussed all fall semester was Duthie Books, not Duffy Books! Professors made assumptions that we all knew how various things worked in Canada during lectures, which made learning rather confusing [please note: several classmates insist that those lectures were confusing to everyone, not just me]. Fortunately by the second semester I started making good friends, and had specific go-to people I could use to ask, say, how the Canadian parliamentary system worked. Actually for that last one, I wrote a final paper for a class about a failed piece of legislation—it wasn’t until I was almost done that I realized that the bill was dead, and felt pretty silly about even choosing that paper topic to begin with. If you are an international student, you will likely make close friendships with the other international students in MPub, even if it seems your backgrounds are too dissimilar. Puzzling over something together is very bonding. Hopefully you’ll eventually find a go-to person among the Canadian MPub students who doesn’t mind you asking all sorts of stupid questions so you can figure out their country. Definitely keep connected with the International Student Office during your time at SFU! Before I moved they helped me with my visa paperwork and answered my questions regarding moving all my stuff through the border; they had by far the best orientation the week before classes started; I got an international student mentor and asked her a bunch of questions about Vancouver when I first got here; and finally, I took advantage of some of the International Student Office outings that allowed me to meet great people from other countries, people from outside my department, have a ton of fun, go to places I otherwise wouldn’t have been able to. One of the most fun things I did in Vancouver was going on a snowshoeing trip organized by the International Student Office in March. If you’re an international student, even just from the US, there is nothing I would highly recommend more than hooking up with the International Student Office. Q: I haven’t been in school in X years and I’m nervous about going back. Yeah, I was too! Most of the students in our class had at least a few years away from school, many with ten or more. The fact is that if you got into the program, the faculty know that you can complete it. At least with our cohort, only about 30% of the people who applied were accepted. You will be among a group of overachievers, and believe it or not, that’s exactly where you belong. It’s not easy, for sure, but you can do it! Q: What is the average age of MPub students? The brochure says it’s a mid-career program. In our class (yours may vary! ), I believe the bell curve peaked around 27 years old. I was 32 when MPub started, and was the third eldest student in the program. There were also three students, I believe, who had just graduated from their undergrad programs, which was interesting. Several of us expected a little more of a mid-career feel to the program, an over-30 cohort, more discussions based in previous professional experience, that sort of thing—but alas. We all still learned a lot, though. Q: What should I be studying to prepare for the program? Accounting? InDesign? Personally, I’d probably put the priority on learning InDesign, because you’ll use it a lot throughout the year. Don’t get too worried: just get familiar with the program. I did so by taking a self-paced community college course the summer before. As for accounting, I probably shouldn’t put this up on the internets, but I still have not completed my accounting book, despite the requirement that we turn them in the first week. However, I had enough super-basic accounting experience from my past ten years of working at non-profits that I was able to get by just fine. The other thing is that I was given the wrong list of prerequisites, so I initially bought the wrong set of books to study over the summer. It wasn’t until I communicated with another student that the fact came to light. And you will see that these sorts of miscommunications and assumptions by the program that you know something come pretty frequently. The mind will boggle. Q: What about the book project? The book project is very intense. Essentially you’re creating a new publishing company from scratch. As you develop your plans, you present before one or two panels of experts each week(!) who give you feedback. Sometimes the panelists give you conflicting advice and you have to decide within your group how to handle it. They call the book project presentation a “rite of passage.” There is a program-sponsored party afterward (with a lot of alcohol!) which often leads to hilarious photos being posted on Facebook the next day. Q: What about the magazine project? Well, I learned some things I didn’t know before about magazines, and also a new way of thinking about magazines and brands. Nobody who has contacted me seems very nervous about the magazine project, so perhaps if someone has specific concerns I’ll revise this in the future. Q: What about the tech project? It looks scary. Keep in mind that you’re not starting the tech project until halfway through the second semester, meaning you’ll have had a solid six weeks of the tech class. This means that you’ll already be familiar with many of the concepts and technologies tackled in the tech project. Also, at least in my experience it’s really more of a project management project. Documentation is key, and John is generally good about communicating with the groups and guiding them along the way. Also, remember: this is a group project, and people often have complementary strengths and weaknesses. You’ll get through it. 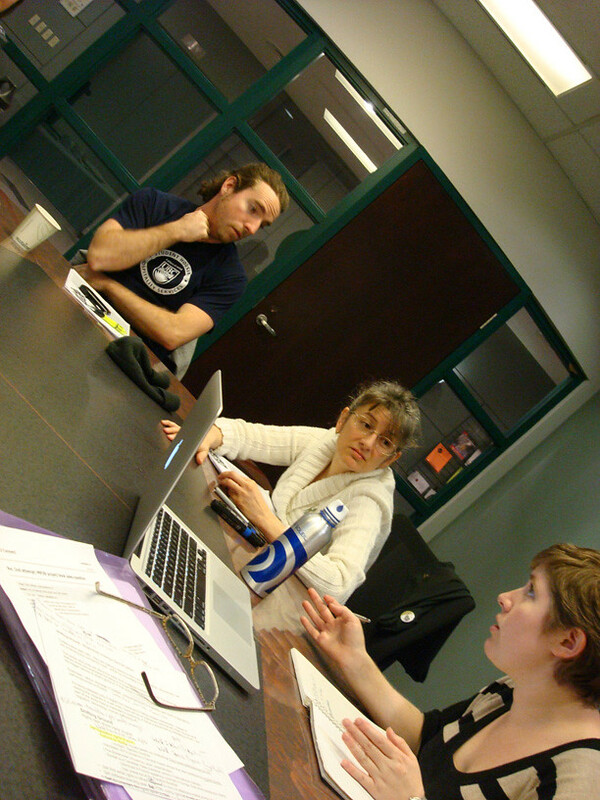 Q: Did the program help you obtain your internship? No. Because I planned to go back to the US for my internship, the program didn’t help me formally whatsoever. (I did have several helpful conversations with my mentor professor, though.) In fact, the head of the department said they wouldn’t help Canadian students get a visa to the US either, so I am the only person interning here. However, if you are planning to intern somewhere in Canada, I believe the program will help make connections on your behalf if they can. There are a few cases where they need to play gatekeeper. For example, if eight students want to intern at UBC Press, which only has two internships, the program often recommends those they think would be most appropriate. Other than that, students are largely on their own. It’s tough to work on getting your internship while also taking on a full classload in the spring, but they do their best to communicate that you should be thinking about the issue early in the year for best results. Keep in mind that 90% of Canadian publishing happens in Toronto, and because the MPub program is in Vancouver, the publishing companies in Vancouver are up to their ears in MPub graduates. Q: What was the project report process like? Here’s a blog post, now that I’m done (April 2012), about my MPub project report. 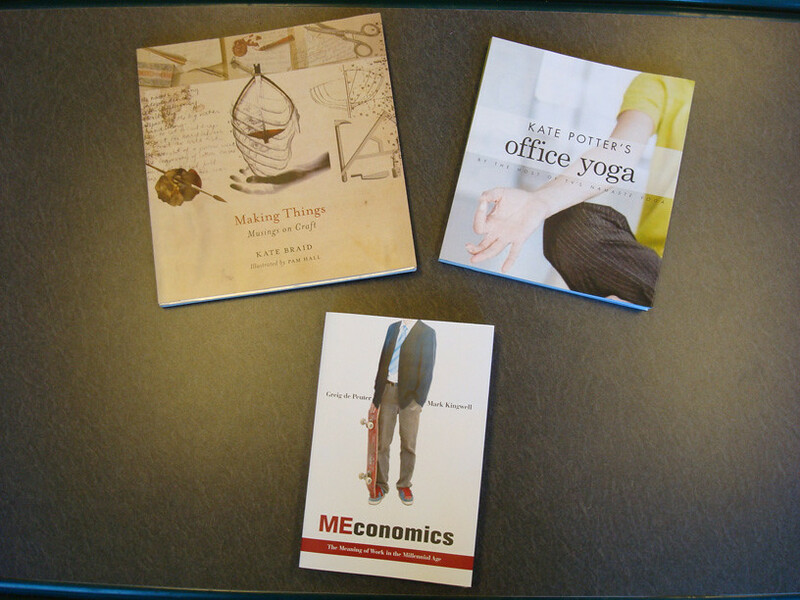 Q: Did the program help you prepare for a career in publishing? I’m not sure I’m fully qualified to answer this, for a couple of reasons. First, I’ve been in publishing since I was an undergraduate student at Lewis and Clark College, when I helped two professors on the books they were working on. Also, I’m not out of the program yet, so I can’t really say that MPub has made people line up at my door with job offers. What I can say is that I feel more well-rounded coming out than I did going in, which was one of my goals. And when I arrived in Missoula for my internship, a local book publisher was interested in talking to me in hopes of helping them kick-start ebook production. Q: Where did you live? Did you have an apartment? Is Vancouver expensive? Good lord, yes. At the International Student Orientation I believe they said that despite Vancouver being the third most populous city in Canada, it had the highest cost of living. I was lucky enough to find a basement suite a mere mile from Harbour Centre, on the best little block in Strathcona, on a major bikeway (I am a cycling fanatic), a block away from a huge park where my awesome dog and I could walk or play daily. However, I paid for it. I paid $1200 a month to live in a basement. And the landlords easily could have gotten more. At first I intended to entertain getting a roommate, but the bedrooms were so small it ended up being necessary to use the second bedroom for storage. Groceries are pretty expensive in Vancouver, especially dairy products. A block of plain cheddar cheese that I could get for as low as $2.50 at home cost at least $5.79. Cream cheese could be purchased at home for $3, but at my preferred grocer it was usually $4.75 for the same size. When I came back from winter break, I “smuggled” in three huge blocks of Tillamook cheddar, an award-winning and far superior tasting cheese from home which were a steal at $6 each! Because I was only living off my Canadian bank account which only had my student loan money in it, I had to be especially tight with money. That’s all I’ve got for now. Again: if you want something clarified, or if there’s something I haven’t included here, add a comment! Let’s have a conversation that can benefit all. • It’s official! This summer I’ll be interning with the publications department of the Adventure Cycling Association in Missoula, Montana. It looks like I’ll primarily be helping the magazine develop its online presence, but will likely have my fingers in plenty of other projects too. As everyone in my program knows how into bikes I am, I don’t think this came as a surprise to anybody. • Want to read my piece in the next issue of “Taking the Lane,” Elly Blue’s zine? Printing is paid for in advance via Kickstarter, so go to the project’s website to chip in. Your copy will be sent to you when they’re all printed in April! • Over the next week, I’ll be writing a long paper about the publication history of Uncle Tom’s Cabin. During spring break, I biked up to UBC Special Collections and viewed some early editions of the book (from 1897 and 1900), which were polar opposites in terms of treatment of the text. While excited about the topic, I’m a little overwhelmed, and working on my blog is arguably my method of procrastination du jour. • Armed with fearlessness, I’ve been doing a bit of customization with Bookish. This is directly linked to my MPub technology project—over the next several weeks, my group will be doing some testing on a web-based system for doing magazine submissions, which was completely built in WordPress.